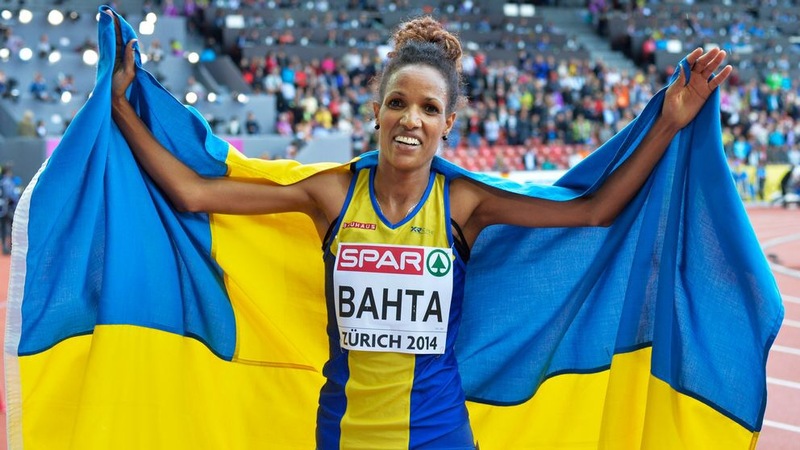 Meraf Bahta was born in Dekishahay in Eritrea, a country with heavily criticized human rights. In 2008, at the age of 19, she escaped this one-party military state. In Eritrea, she had been conscripted to do a 5-year long military service, or punishment by imprisonment. Both her parents were imprisoned and her mother had died behind bars. So Meraf fled and found a safe haven in Sweden. In Eritrea, she is considered a deserter and her return there would mean instant death. As a middle distance runner, she has participated in many international competitions. Her personal best times are 4:05.11 minutes in the 1500 metres and 14:59.49 minutes in the 5000 metres – which is the Swedish national record. She is also the European champion (2014) in 5000 metres. Since 2014 she is a Swedish citizen and eligible to represent Sweden in international events. She did so at the recent Olympics in Rio and World Championships in London. Meraf has found security in Sweden and is able to pursue her athletics career without threat or military interference. Watching her on the track, it’s easy to see that she wears her yellow and blue colours with pride.